Acute sprains of the lateral ligament complex of the ankle are among the most common injuries in athletes. 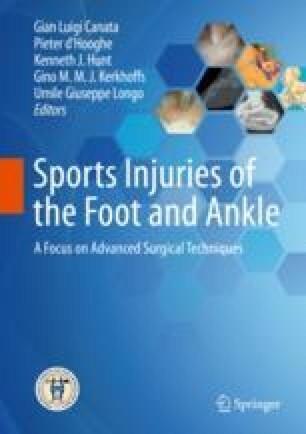 While most do not require surgical intervention, an understanding of ankle biomechanics, injury mechanisms, and risk factors is critical to properly managing these injuries and optimizing outcomes. The following is an overview of lateral ligament injuries, including epidemiology, injury pathomechanics, and an overview of treatment strategies. The physician’s ability to properly manage these patients and identify patients at risk for recurrent injury will mitigate the patient’s risk of recurrent and associated injury, and to ultimately improve their outcome, performance, and quality of life.